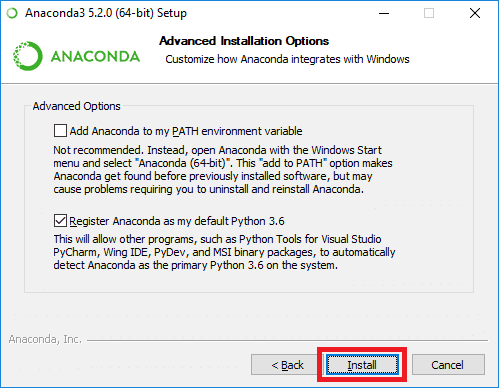 This guide will help you learn to setup the Anaconda distribution for Python on Windows. Anaconda is a distribution of the Python and R programming languages. It focuses on data science and machine learning related applications. The distribution includes more than 250 popular data science packages. 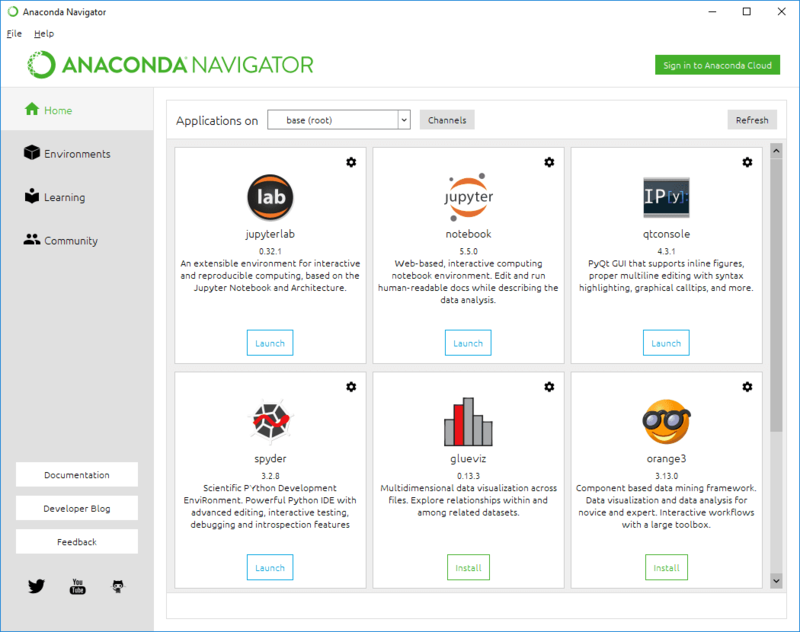 Anaconda is free and open source and maintained by Anaconda Inc. A software development and consulting company based in Austin, Texas, USA. 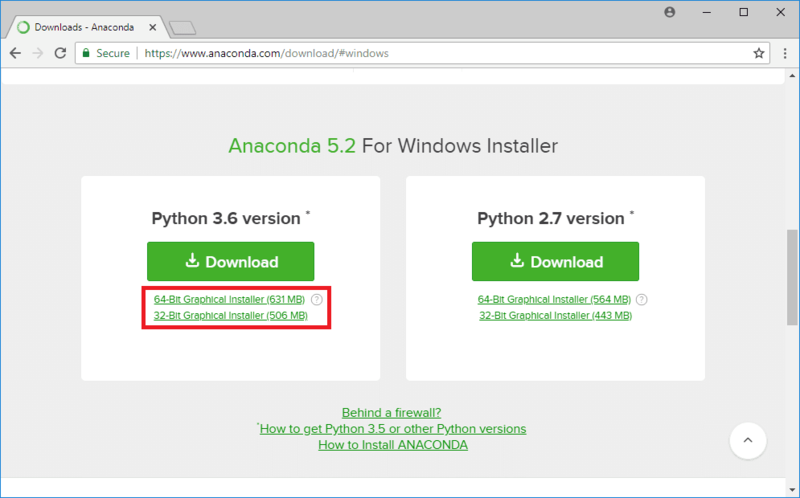 Head over to the Anaconda for Windows download page. Verify your windows bit version and click on the corresponding link. In this guide, we will download the 64-bit installer. 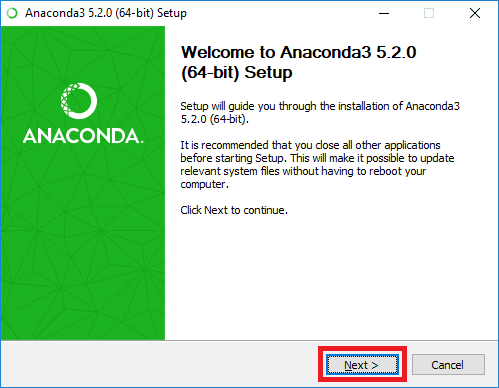 At the time of writing the latest stable Anaconda release was version 5.2.0. 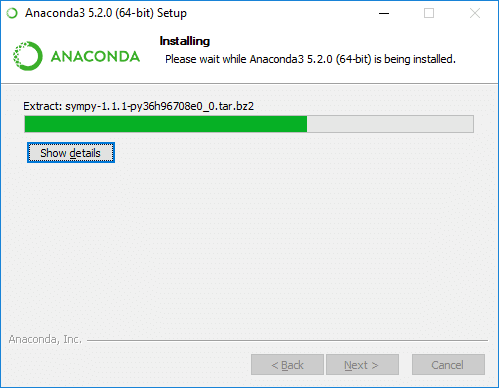 The Anaconda installer will start. 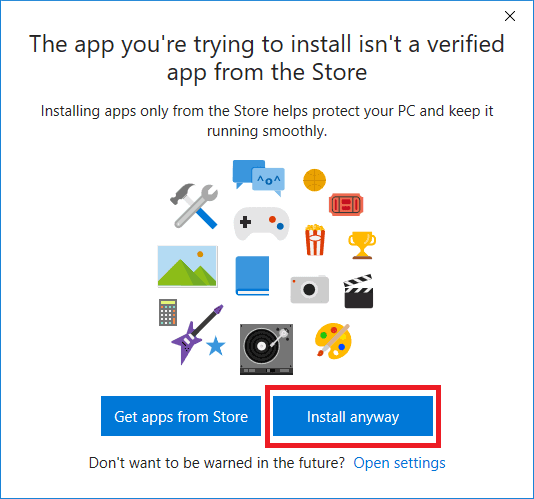 Select if you want to install for the current user or all users on the system. Installing for all users requires Windows Administrator privileges. In this tutorial, we keep the recommended setting of Just Me. You can change the installation location by clicking on the Browse… button. 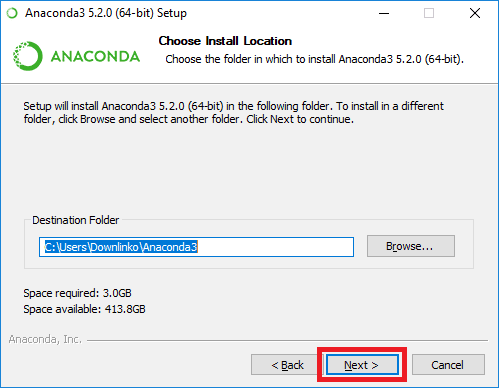 Do not install Anaconda in a directory that contains spaces or special characters. For this example, we keep the default install location in the user’s home folder. 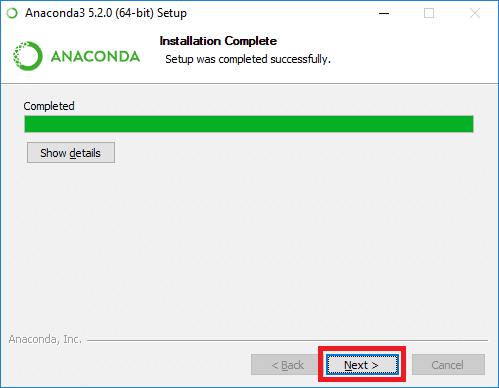 Choose if you want to add Anaconda to your PATH environment variable. 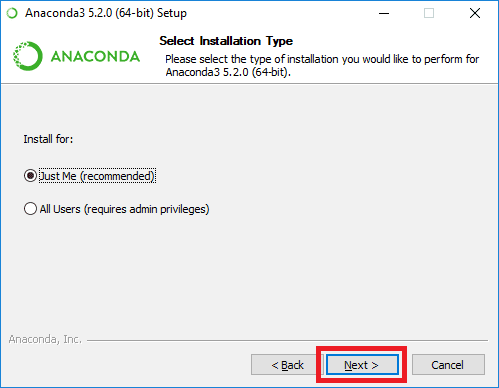 We recommend that you do not add Anaconda to the PATH environment variable. The reason for this is that it can interfere with other software. 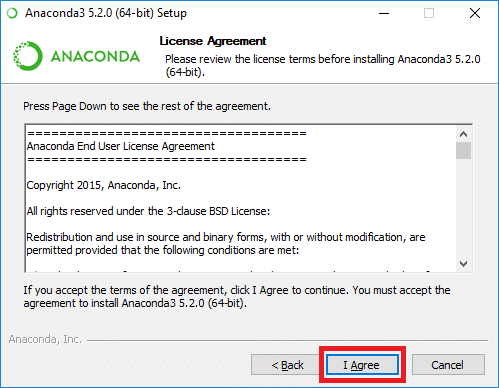 Choose whether you want to register Anaconda as your default Python environment. Leave the Register Anaconda as my default Python 3.6 box checked. Unless you plan on installing and running multiple versions of Anaconda. Or in case you need to use multiple versions of Python. The Anaconda installation will now start. You can now also install the Microsoft Visual Code editor. This is an optional step. 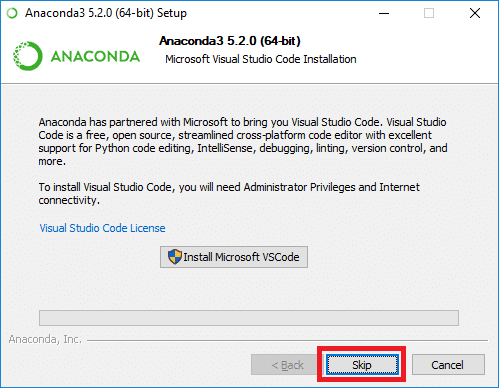 In this guide, we install Anaconda without Microsoft VSCode. Check following post for a detailed guide on how to install Visual Studio Code on Windows 10. 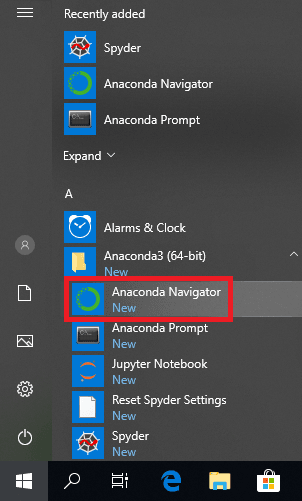 Click on the Windows button and look for Anaconda menu item. Open it and click on the Anaconda Navigator shortcut. Navigator should now open as shown below. 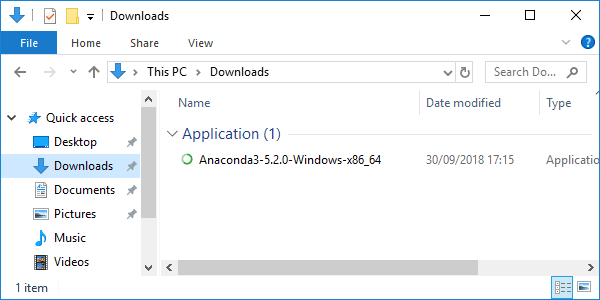 Congratulations, you have installed Anaconda on Windows 10! 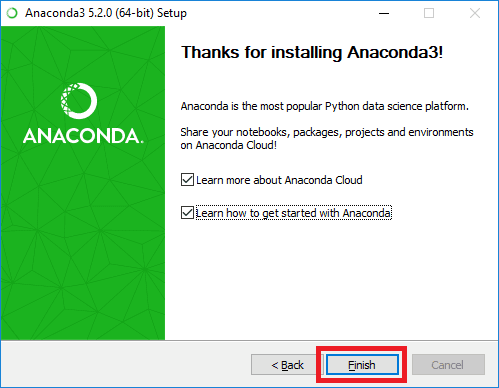 Now take the next step and learn how to get started with Anaconda. Leave a comment below if you enjoyed this post.